Every where in Kerala we are greeted with big smiles and shown great hospitality. 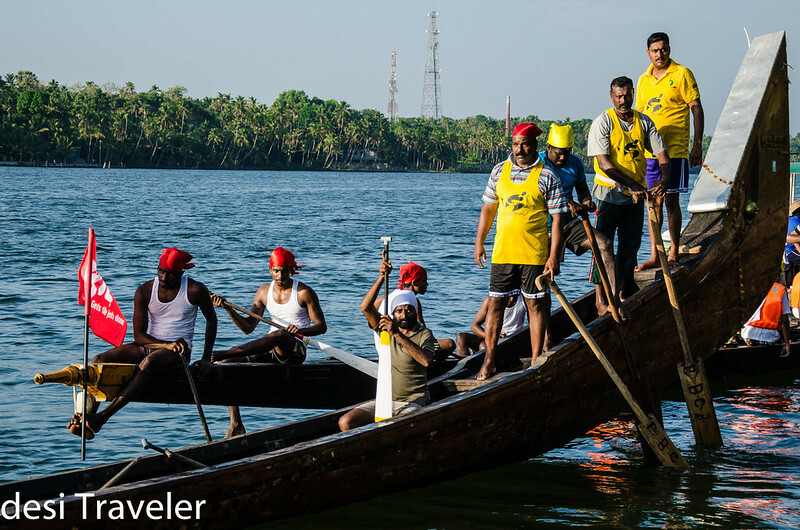 On our journey towards Kollam we stopped by at Welcome Group Hotel Raviz in the outskirts of Kollam. 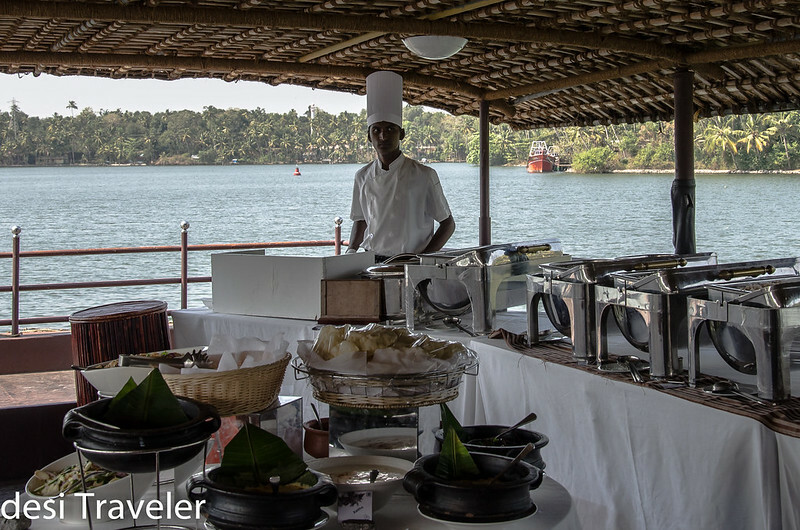 After a great welcome with trumpeting elephants and Kathakali dancers, we boarded their houseboat Fort Raviz where there team has spread a lavish buffet for us on the upper deck of the luxury houseboat. 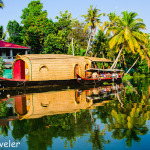 Our plan was to take a ride in the secluded backwaters of the magnificent Ashtamudi Lake. 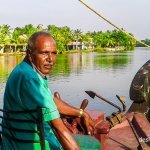 But it was our lucky day as the hotel has organized a snake boat race for the guests of the hotel and we got to witness it from the comforts of our houseboat from the middle of the lake with a wonderful vintage point. 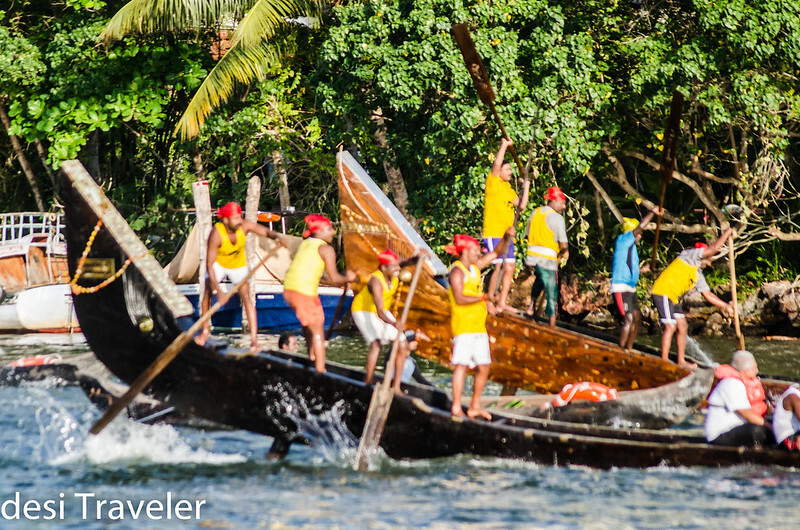 While enjoying the delicacies served with well-known hospitality of ITC Welcome group, we got to watch the 2 teams on snake boats (or Chundan vallam in Malayalam) is a long slender canoe used by the people of the Kuttanadu region of Kerala. As the 2 teams in their colorful clothes were preparing for the race, we started adjusting settings for our cameras and took positions on the best vantage points. 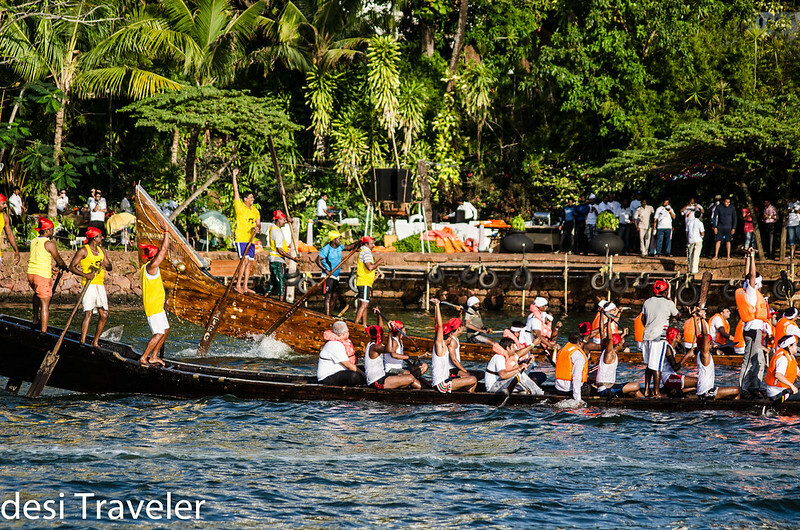 As soon as the race started there was a big commotion in the audience, but that was no match for the rhythmic and synchronized roaring and screaming erupting from the snake boats as both the teams started roaring furiously. At first both the teams appeared to be equal match as both the boats were gliding smoothly on the placid emerald green waters of the Asthamudi Lake. But a snake boat race is a game of skill, stamina and strength, and soon we could see the winner emerging, with first only exquisitely carved front of one of the boats moving forward. Soon they were favorites of everybody and we were all cheering for them. As the winning team approached the finishing point our cheer leading efforts also gained momentum. 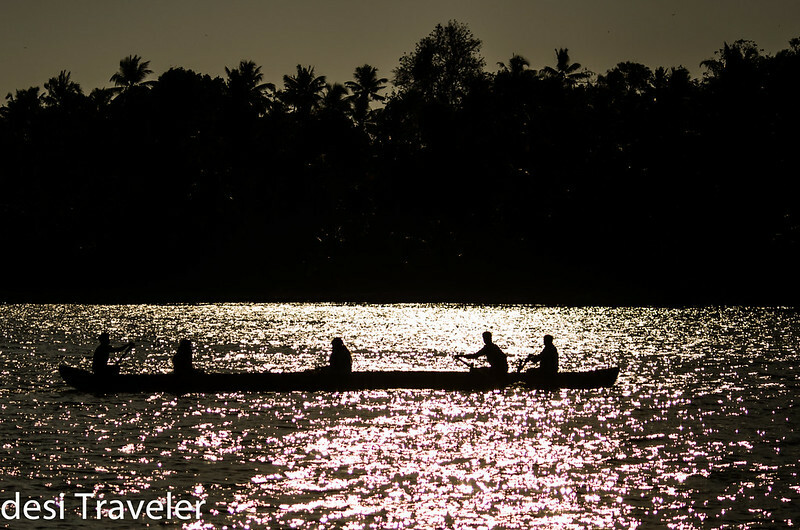 Suddenly a boat race that we have never seen before became the sport of choice for all of us .But unless your journeys can make you be one with the communities you are exploring, your journey is still a work in progress. Once the race ended our Houseboat docked again and we as well the winners were greeted to drum rolls. 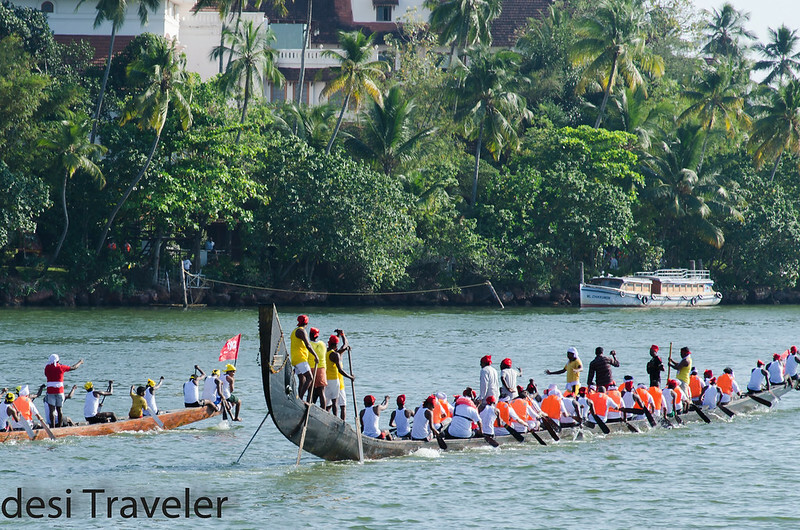 The REAL snake boat race happens some time in September to October every year depending on the Hindu Calendar followed for auspicious festivals in Kerala. The race we witnessed was organized by Raviz Welcome Hotel for the benefit of their guests, but the excitement, and the efforts were real. 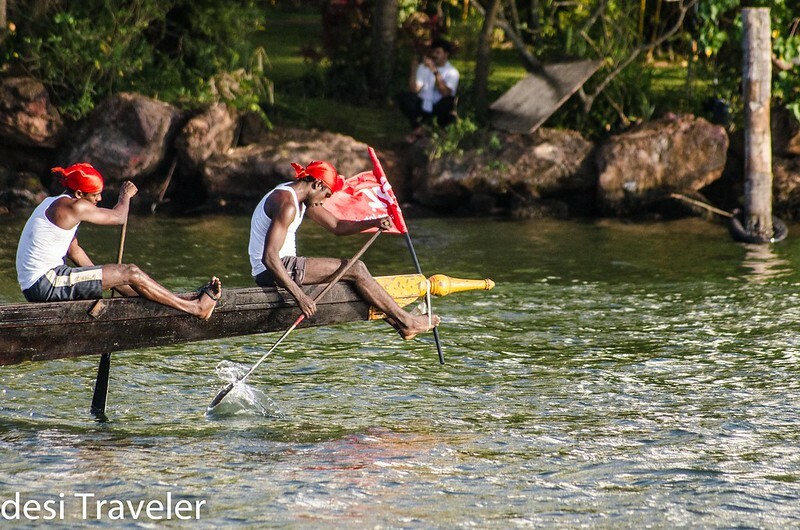 If you are planning to be in Kerala, I would highly recommend watching a snake boat race, as not only the whole excitement is 100 times better than watching a cricket match on idiot box, you can actually participant as a rower in the race. While we were about to leave, and sun was playing hide and seek behind the coconut palms, I saw this family of 5 going on an evening boat ride in the lake. The breeze, the waves, the sun-rays reflecting on the water made the moment magical to be cherished for a long time. 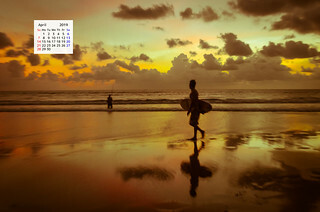 Indeed Kerala is “Gods Own Country”.